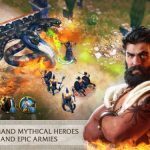 Aegis Interactive’s Gods of Olympus was updated just two weeks ago, and if you’re an iOS user (the game isn’t available for Android), you might have checked the game out. It’s a title where you control the Greek gods as they battle through ancient Greece against fortified cities and hundreds of combat units. 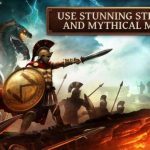 The game comes with city-building elements where you are tasked to build your own empire that would hopefully be worthy of Zeus and the other Greek gods and goddesses, and it comes with an “innovative” combat system where you’ll need to use your best strategy on attack and on defense. And one relatively unique feature of the game is that there aren’t wait times for buildings to be completed; create a building or upgrade an existing one and it’s done instantly. Now, that we’ve given you a brief backgrounder on the game, let’s get to the meat of the matter – it’s going to be quite the task to properly harness the power of the ancient gods to defeat your enemies and do other things in this game. 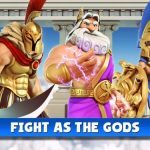 That’s why we have come up with a unique set of Gods of Olympus tips, tricks and strategies that should assist you in the different facets of the game. The game will start you out with the father of all the Greek gods, Zeus himself, and his first ability is Chain Lightning. This skill does a great deal of damage to any buildings or units that surround Zeus, before moving on to other targets. There isn’t much of a cool down time to deal with, so you can use Chain Lightning as often as you please as it easily does damage against buildings and smaller enemy groups. Once you’re able to control other gods and goddesses, feel free to do the same – keep using their abilities whenever necessary, and as often as possible. Make sure to check the top left of the selection images for cool down time information, so you know how often you can “spam” these abilities. Aside from frequently using your gods’ skills, you can also have them return to the Pantheon to power them up. Of course, you’ll have to spend some gold while there, but you can use that gold to upgrade skills, strength, or health. Make good use of the gold you earn and make frequent trips back to the Pantheon – there isn’t any other thing you can spend your gold on anyway. As you might have inferred, Gods of Olympus has a lot of tower defense elements, which makes it imperative for you to upgrade defensive towers. 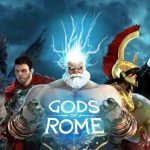 Although upgrading the different temples will give your gods those all-important passive bonuses (and would do the same for your troops), but those bonuses would be largely negligible unless you’ve upgraded them greatly. But upgrading your arrow towers and other defensive buildings would be better for starters, as that increases their attack rating and allows them to produce more troops for you. Yes, passive stat bonuses are great, but you cannot neglect the towers in a game with tower defense elements. Your troops will be very important in the defensive part of the game, as you won’t be able to leverage your gods’ powers at all. You won’t be able to access them, and that means it will be all up to your troops to battle for you. So how do you make sure that they’re up to the challenge? What you would want to do here is to set up a good number of academies and defensive towers for optimum troop production. You would also be able to summon groups of troops at the building of your choice. Doing these things is best done at the very moment your cool down period ends for an ability. If you don’t have enough troops getting created, you will definitely run into trouble in the latter levels. And this completes our strategy guide for Aegis Interactive’s fantastic mobile game, Gods of Olympus. If you have additional tips and tricks to share, feel free to send us those hints!